2. 86-2 Amends Ordinance providing for the regulation and operation of the municipal waterworks system. 3. 87-1 Provides for an effective means for protecting the public water supply system from contamination due to backflow. 4. 96-2 An Ordinance granting to Cable TV Fund 14-a, Ltd. permission to construct, operate and maintain a community antenna television system upon, along, across, over and under the streets and public rights of way of the Village of Pesotum, Illinois. 5. 97-2 An Ordinance providing for the regulation and operation of the municipal waterworks system of the Village of Pesotum, fixing rates and charges. 6. 99-3 An Ordinance amending the Ordinance establishing a Municipal Utility Tax of the Village of Pesotum, providing for a method of collecting taxes for the privilege of using electricity based upon kilowatt hour usage of individual customers. 9. 02-6 Amends Ordinance 97-2 Providing for the Regulation and Operation of the municipal waterworks system. 10. 03-5 An Ordinance amending the Municipal Code of the Village of the Village of Pesotum imposing a Simplified Municipal Telecommunications Tax. 11. 04-2 An Ordinance repealing the Village of Pesotum’s Gift Ban Act Ordinance No 99-1. 12. 05-2 An Ordinance Annexing Continguous Land to the Village of Pesotum, Illinois. 13. 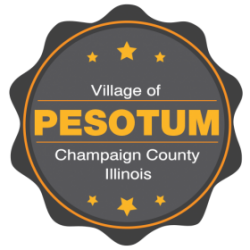 06-01 Authorizing the Village of Pesotum to enter into certain contracts with Illinois American Water Company. 14. 06-2 Amends Ordinance 97-2 Providing for the Regulation and Operation of the municipal waterworks system designated a s Ordinance No 97-2, enacted August 6, 1997 and amended by Special Ordinance No 02-6, enacted November 6, 2002. 15. 07-3 An Ordinance vacating portions of Walnut and North First Street (a/k/a Adams Street). 16. 10-3 An Ordinance Renewing an Existing Franchise and Granting for a period of 20 Years to AmerenCILCO. 17. 10-5 An Ordinance Adopting Procedures for Electronic Attendance at Meetings of the Board of Trustees.